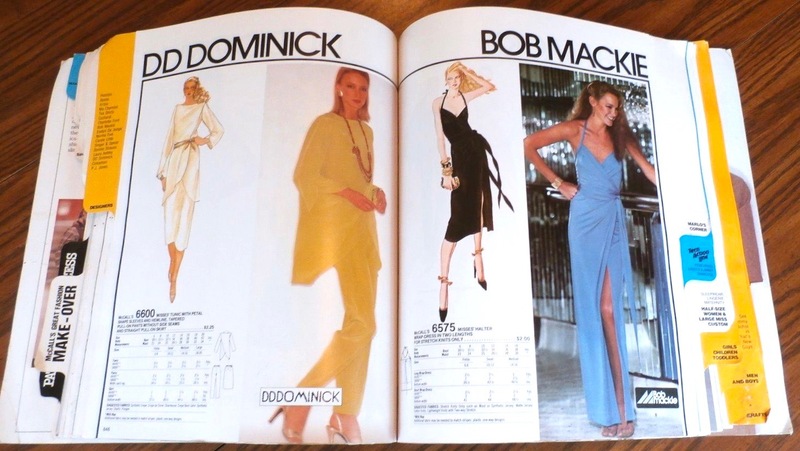 Bob Mackie (b. 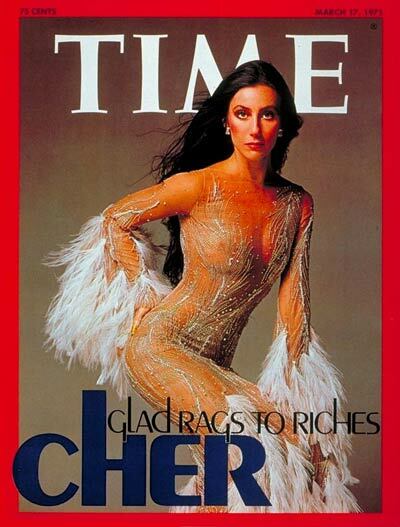 1939) is known mainly for his work as a costume designer for performers like Carol Burnett, Diana Ross, and, of course, Cher. 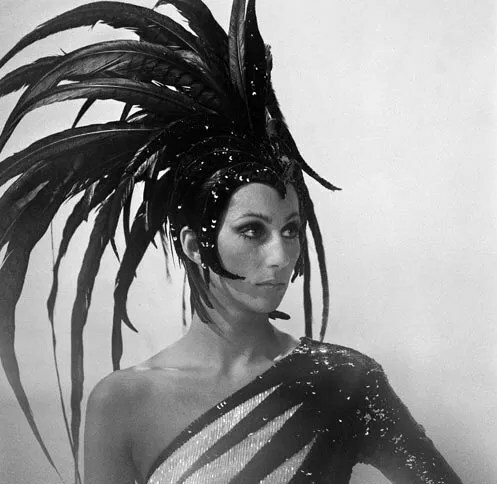 Cher in a costume by Bob Mackie, c. 1973. Image: Vanity Fair. 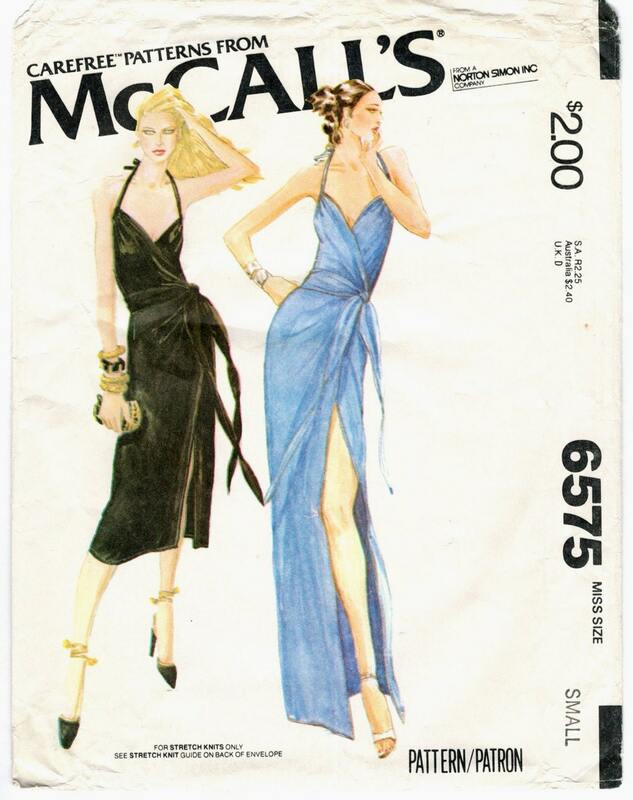 McCall’s 6838 by Bob Mackie (1979) Image: Vintage Patterns Wiki. 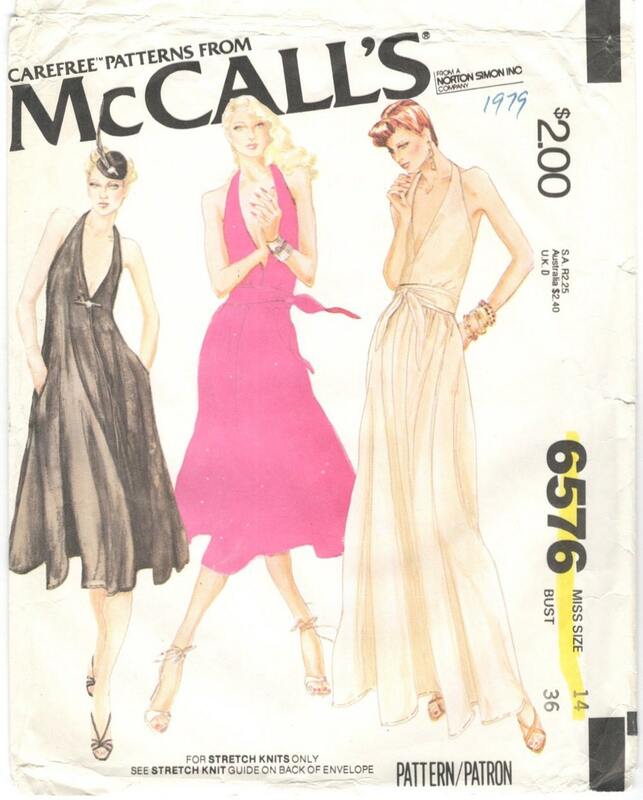 Here’s the envelope description: Misses’ dress – for stretch knits only. Long or short wrap-dress (without side seams), softly pleated into front waistline has shoulder gathers and long sleeves. Shaped sash is tacked to right side seam. 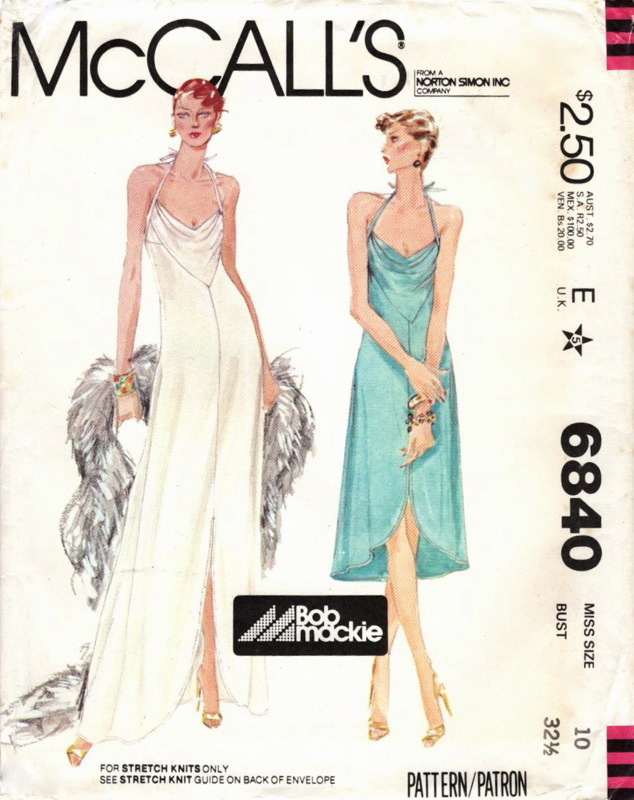 McCall’s 6839 by Bob Mackie (1979) Image: eBay. 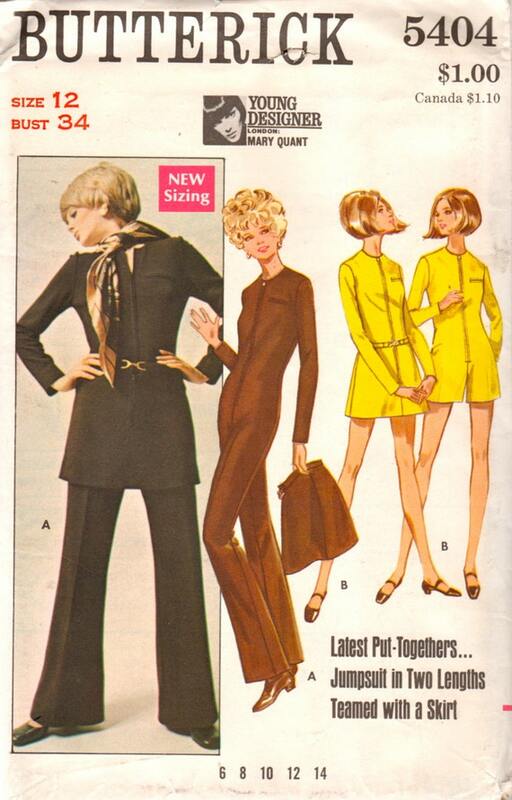 The envelope description reads: Misses’ dress – for stretch knits only. 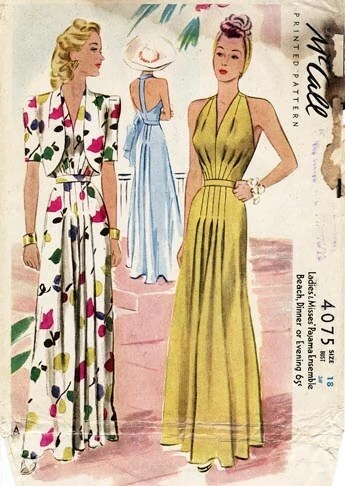 Low-backed dress in two lengths with shaped seaming has long sleeves, flared skirt, back zipper; softly draped bias collar snaps in back. Rhinestone trim is optional. Here’s the envelope description: Misses’ dress – for stretch knits only. 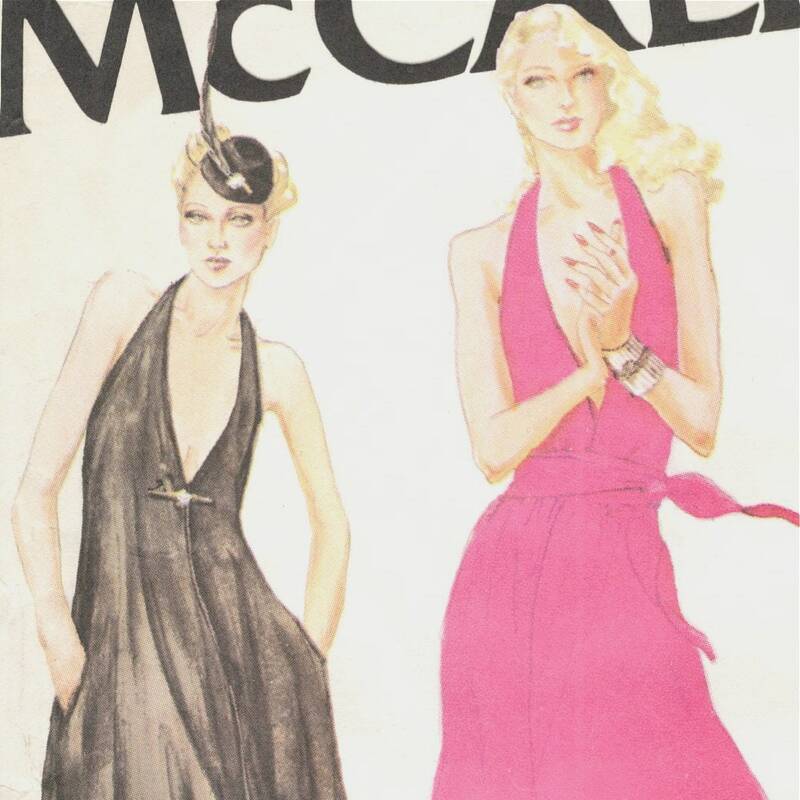 Back zippered halter dress in two lengths has flared skirt, shaped hemline with front slit; upper edge binding extends into ties. Loose, pleated cowl is included in side fronts only. 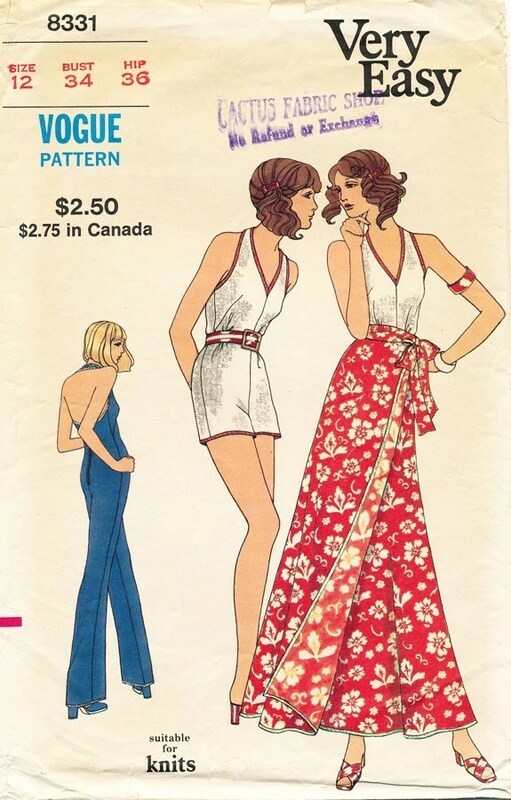 The envelope description reads: Misses dress and jumpsuit – for stretch knits only. 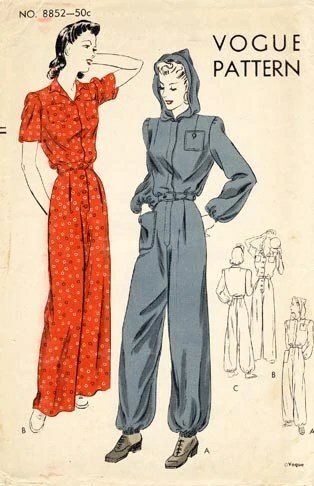 Back zippered, fitted dress in two lengths and jumpsuit have slightly extended shoulders, low V-neckline, soft front waistline pleats and slight gathers in back. 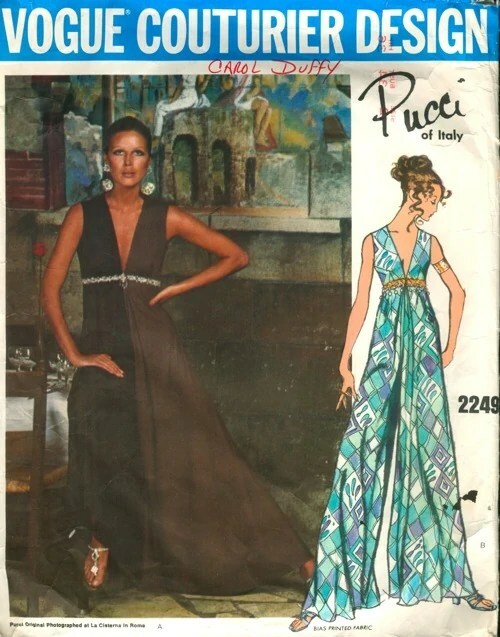 Dress has front slit with shaped hemline and pleated belt included in center back seam. 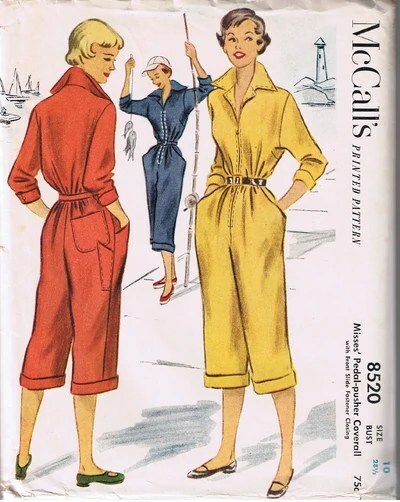 Jumpsuit has purchased belt; length allows for crushing at ankles. Note: skirt and pants, cut on bias, have no side seams. 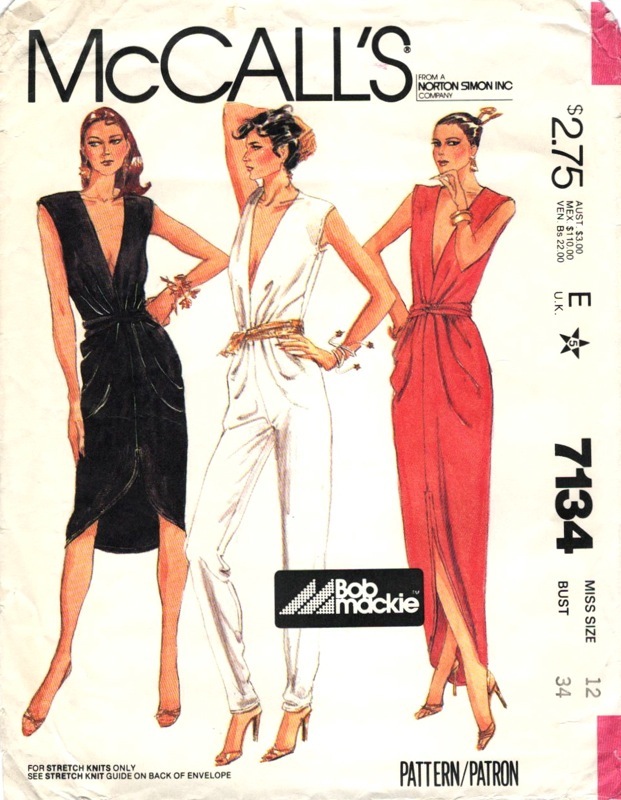 Interestingly, the McCall’s patterns pre-date Bob Mackie’s ready-to-wear line, which was launched in 1982. 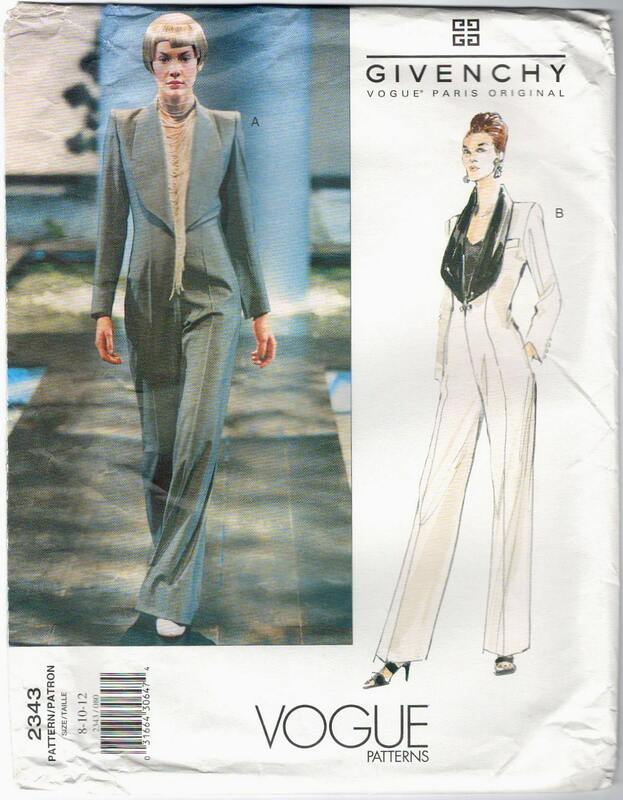 It’s difficult to find details on the designer’s work outside show business; Unmistakably Mackie, the catalogue from the Museum at FIT’s 1999 Mackie retrospective, focuses mainly on his costume work. 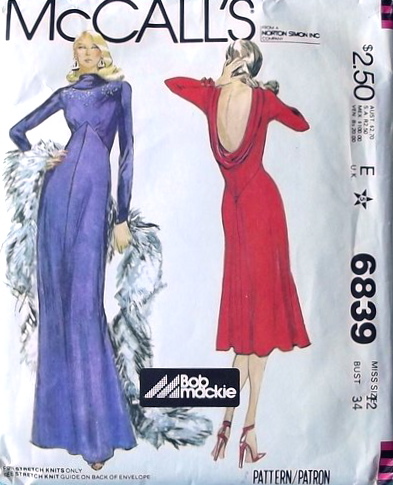 The Bob Mackie patterns could be glitzed up or down depending on the sewer’s preference. 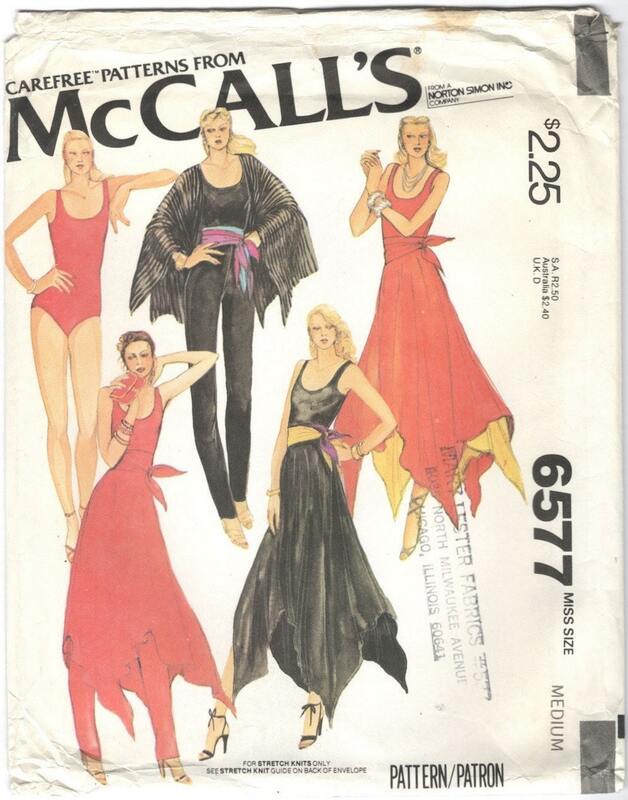 I wonder whether they were designed exclusively for McCall’s?